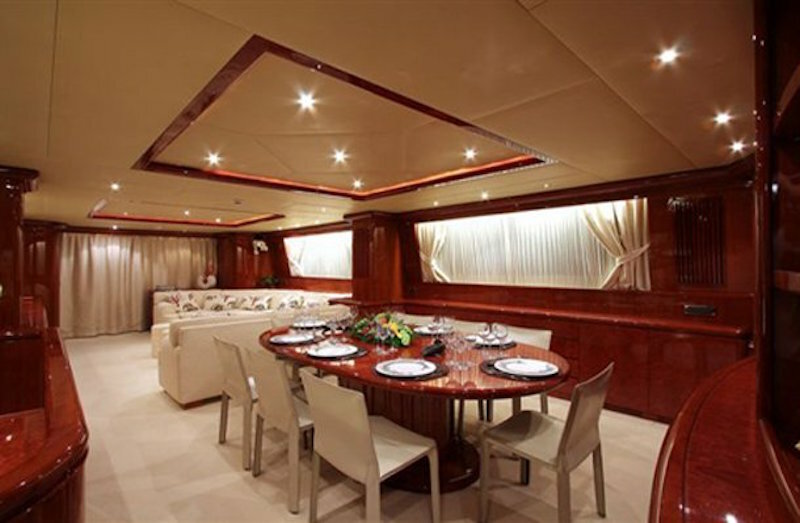 ALBACORE II is a 30,70m (100' 8") 2005 built Falcon charter yacht with an elegant yet comfortable and extremely seaworthy vessel. 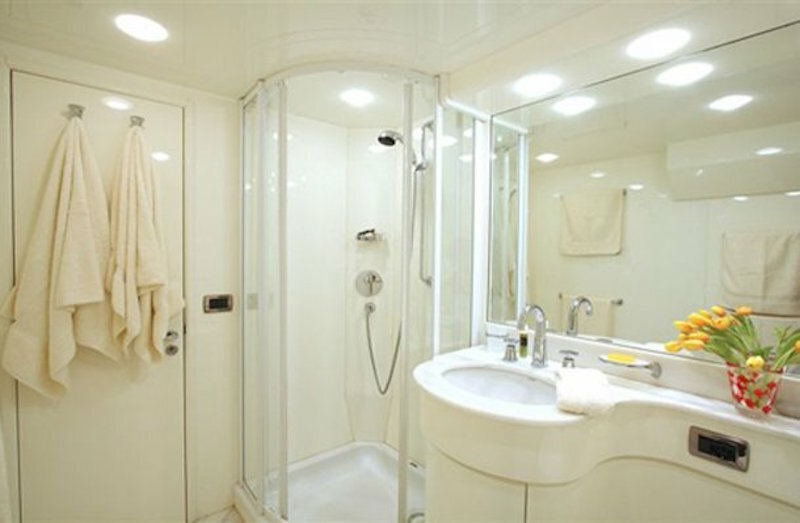 She can accommodate 10-12 guests in 5 cabins including a Master cabin, VIP, double and two twin cabins, all with en suite facilities. 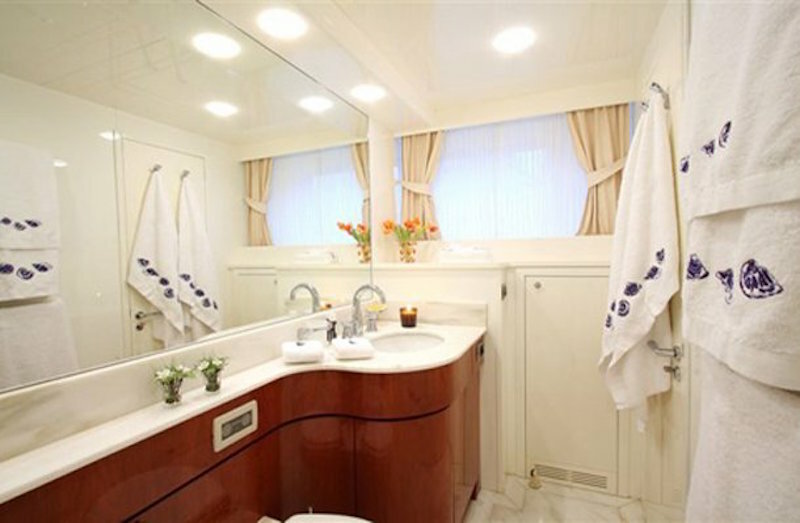 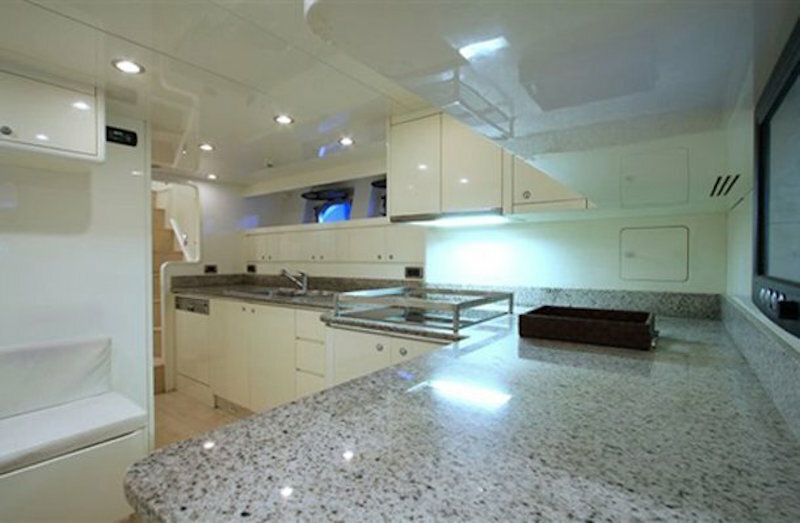 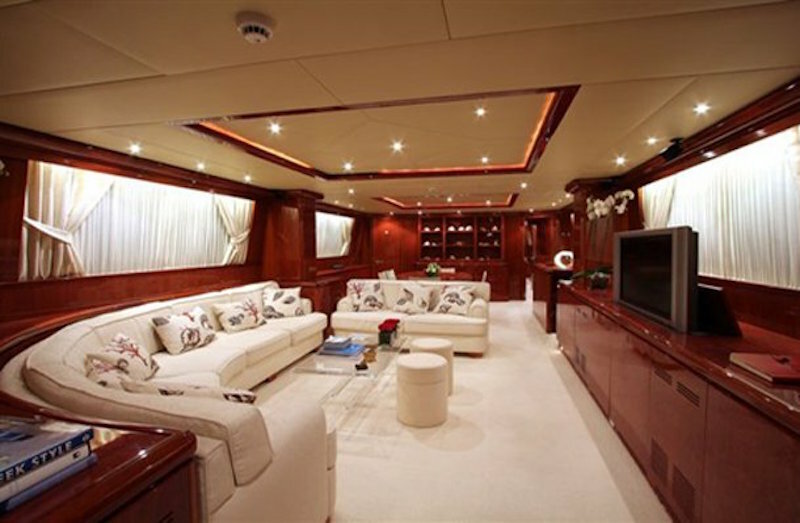 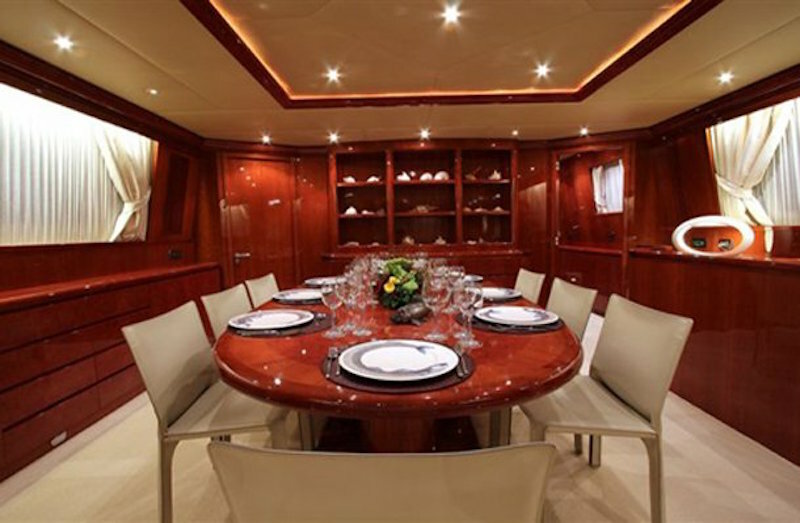 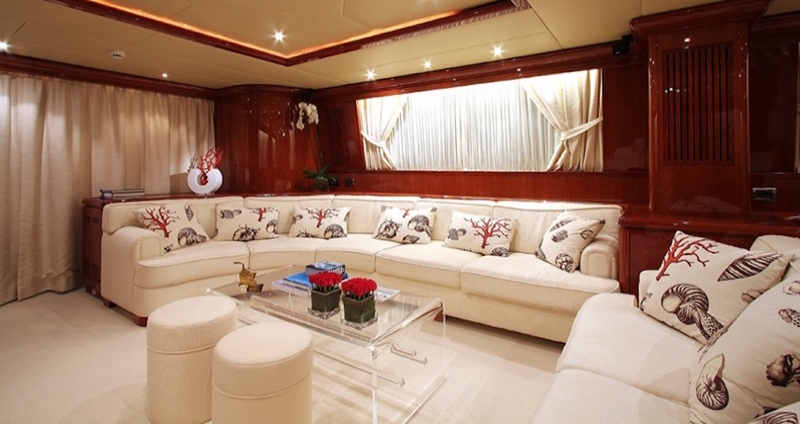 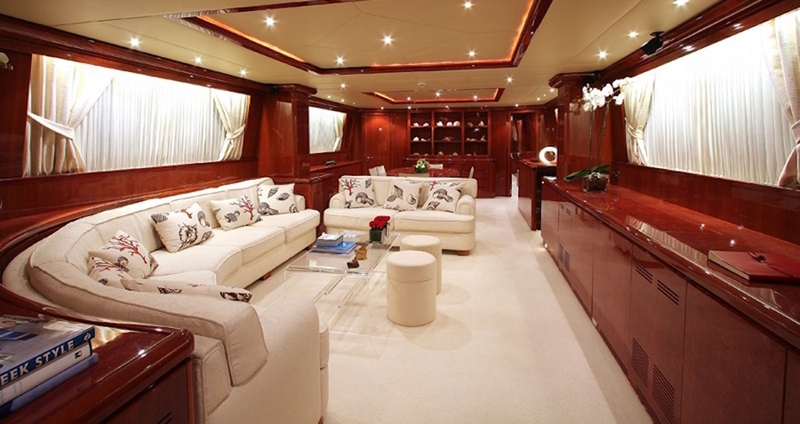 The beautiful yacht has a spacious and comfortable salon and ideal for relaxing and entertaining with 2 large couches including a social L shaped couch. 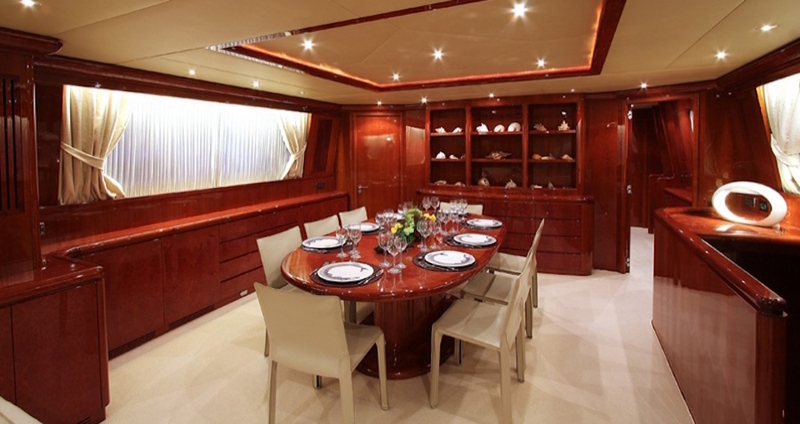 The stylish Dining area is adjacent to the main salon where you can enjoy the chef's incredible meals. 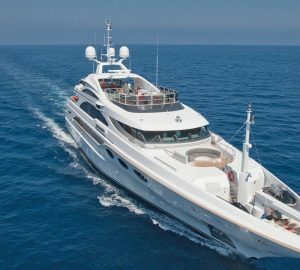 This super yacht offers effortless outdoor living with al fresco dining possible on both the upper sun deck and the main aft deck. 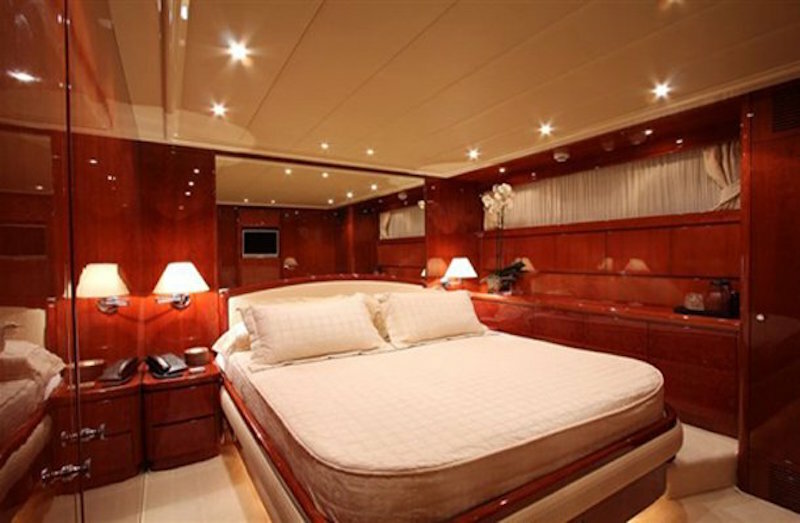 She has a great variety of water sports toys on board to enjoy the stunning waters including a jet ski, wakeboard, doughnuts, skis and snorkel gear to name a few. 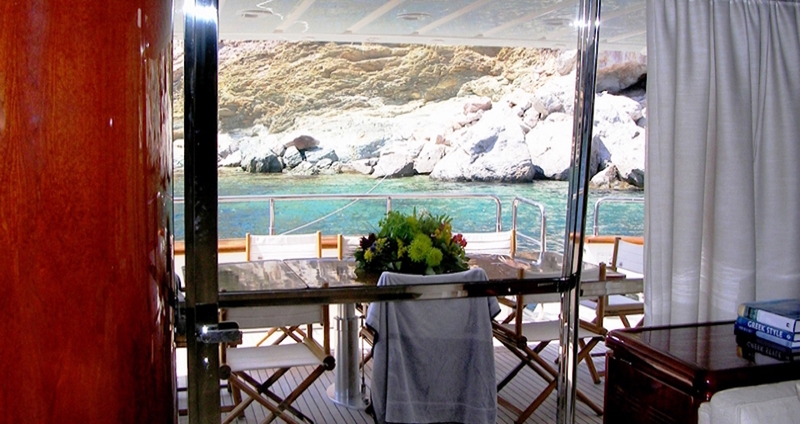 The powerful engine running her can cruise between 24-27knots, so it is possible to reach your destination quickly or instead lie at anchor in a secluded bay or just relax and enjoy the first class service offered by the professional crew of 5. 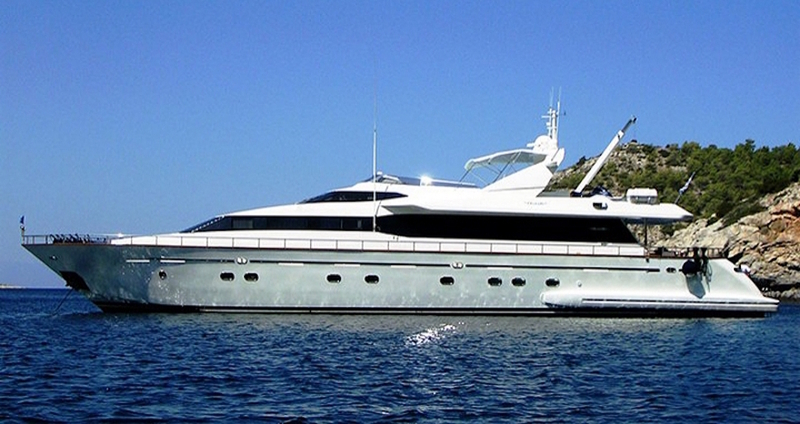 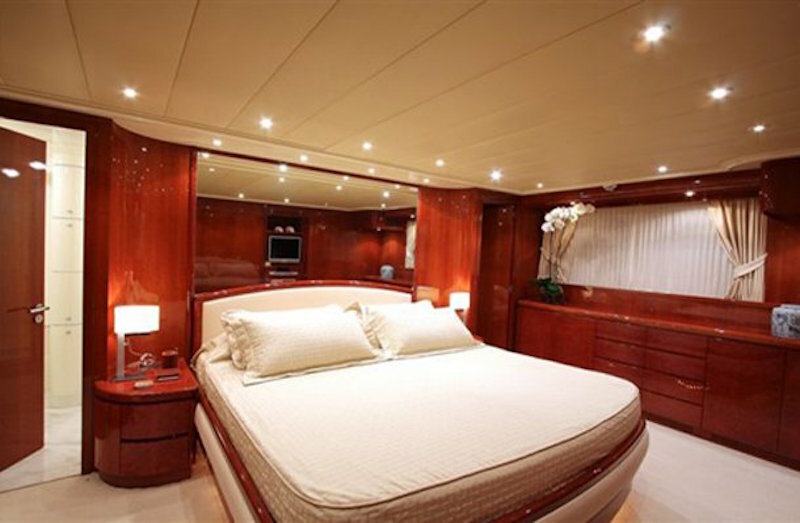 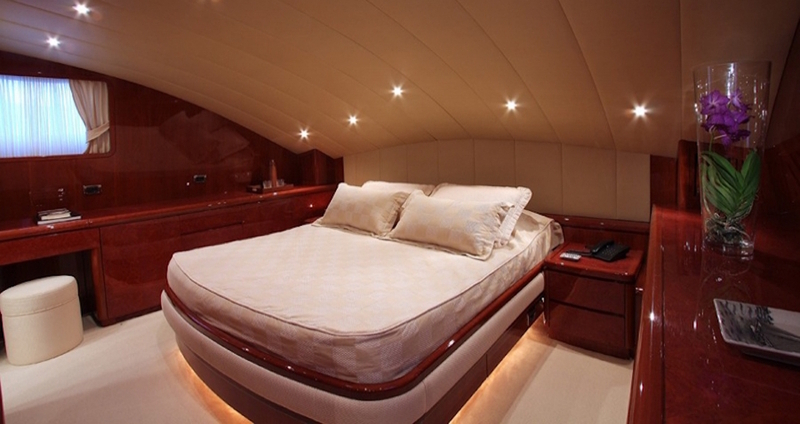 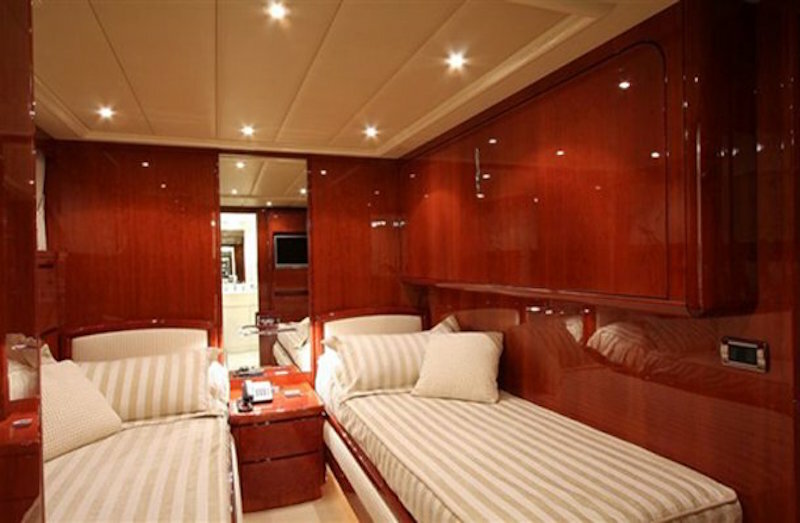 The large space in this charter yacht can accommodate up to 12 guests in 5 cabins including a master cabin with king size bed and ensuite facilities, a VIP cabin with queen size bed and ensuite facilities, a double cabin with ensuite facilities and two twin cabins with one extra pull man berth each and ensuite facilities. 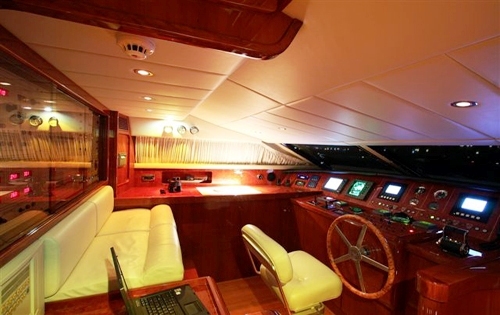 ALBACORE II has a full range of tenders and toys including a Novurania 430 with 70hp engine, a Bombardier jet ski 185 hp, Water ski, Doughnut, Wakeboard and Snorkelling equipment. 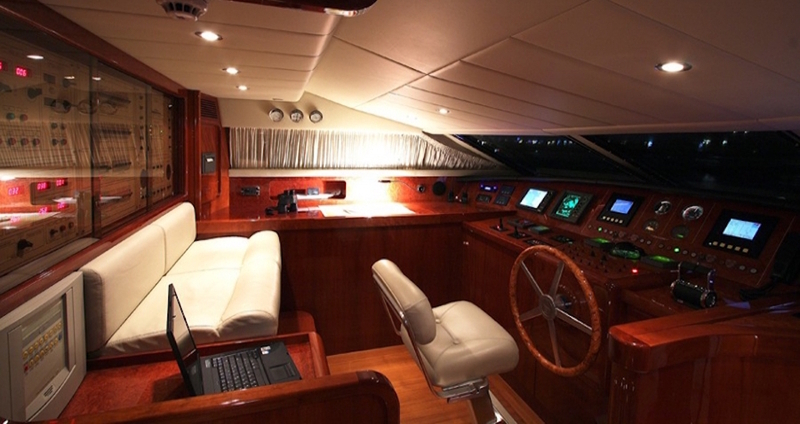 Communications onboard include a Mini Ma satellite phone, Inmarsat C (telex, facsimile) and Fleet 77. 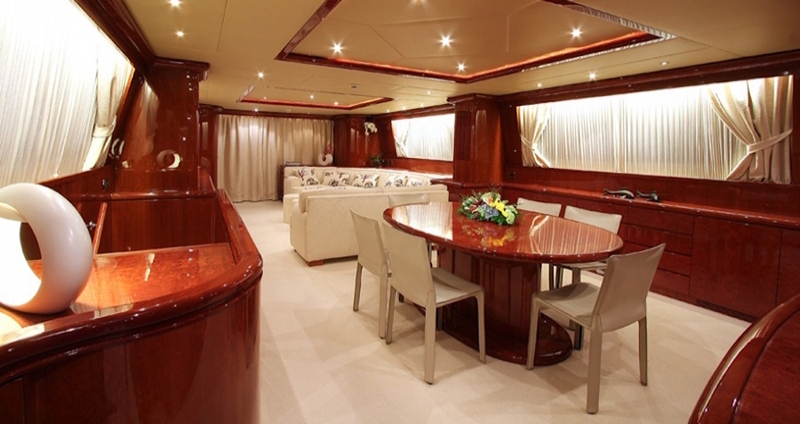 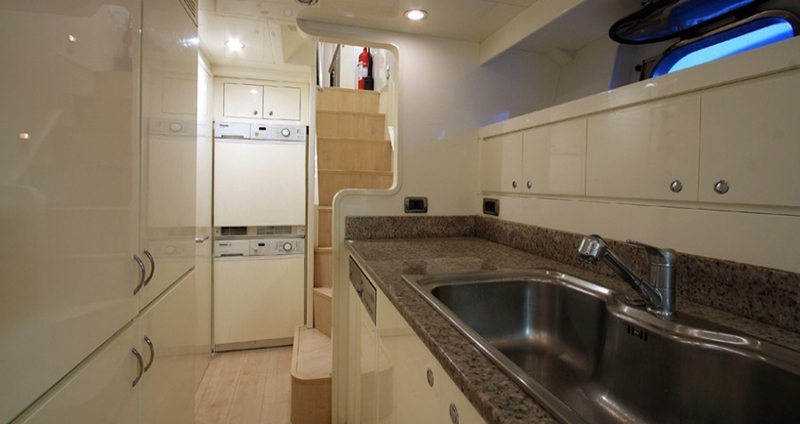 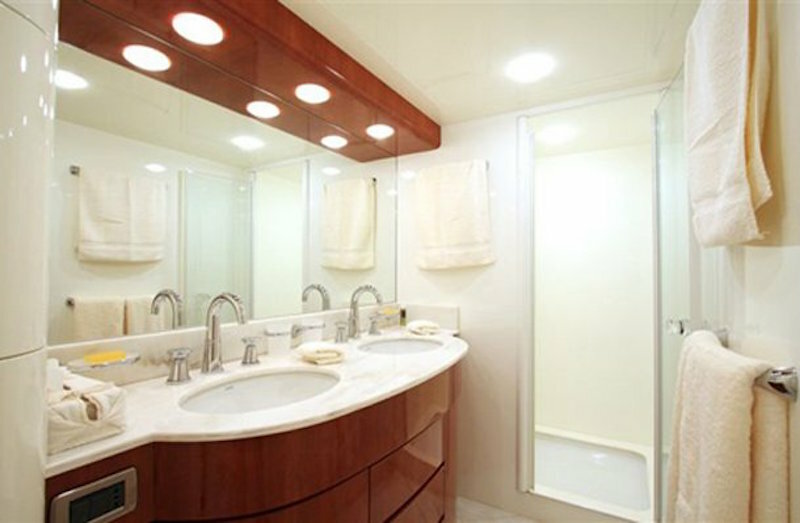 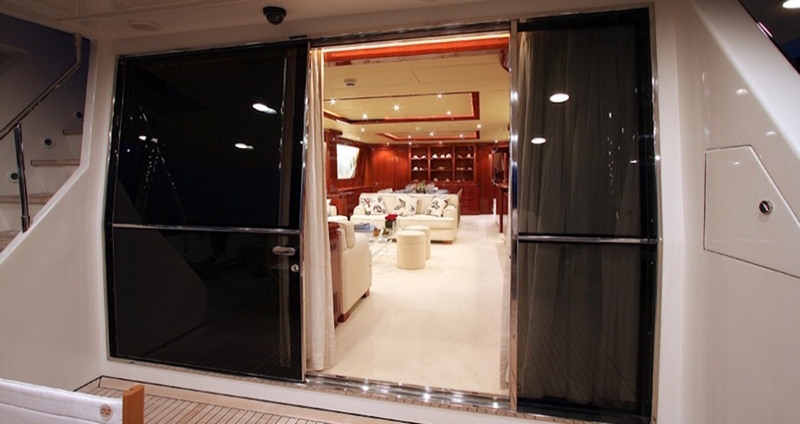 Audio Visual Equipment and Deck Facilities include Satellite TV and a TV/DVD/CD in all cabins.